PAUL, MARY CHRISTIANNE (Christina, Christy Ann) (Morris), Micmac artist and artist’s model; b. c. 1804 in Stewiacke, Colchester County, N. S., or Ship Harbour, Halifax County, N. S., daughter of Hobblewest Paul; d. 1886 in Halifax, N.S. She was one of the most amazing Mi’kmaq artists of her time. Extremely talented, she made a name for herself in Nova Scotia in the late 1800’s. She did both Quillwork and ribbon applique and has been my inspiration since I was introduced to Quillwork some 20 years ago. Mrs Morris did exquisite work in the traditional Micmac crafts, supporting her family by the sale of quillwork and basketry. 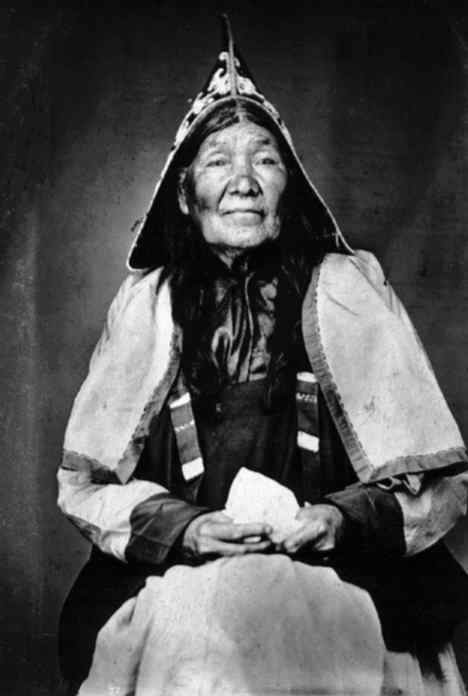 Her needlework, quillwork, splint basketry, and a full-sized canoe and paddles all won first prizes at various provincial exhibitions and she once sold two beaded costumes to Indian Commissioner William Chearnley for the impressive sum of $300. 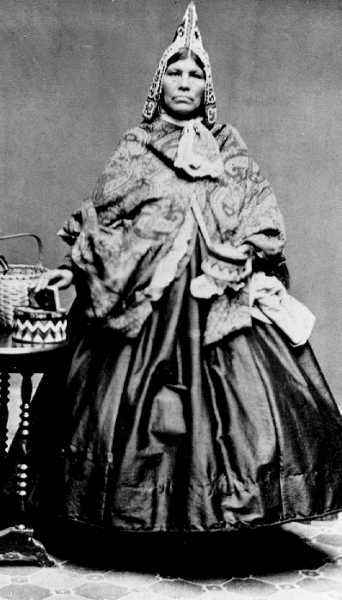 In 1854 she was living in Dartmouth, N.S., and a year later had moved across the harbour to the Northwest Arm, Halifax. There, “by her own industry,” she built and furnished a green frame house and kept a few farm animals. Only two works of art by Mrs Morris herself have survived: a pair of snowshoes, woven in fine mesh for a mayor of Halifax, and her now-famous cradle panels done about 1868. The birch-bark panels are decorated with coloured porcupine quills in the Northern Lights, Starfish, and Fylfot motifs, on a white quill ground. 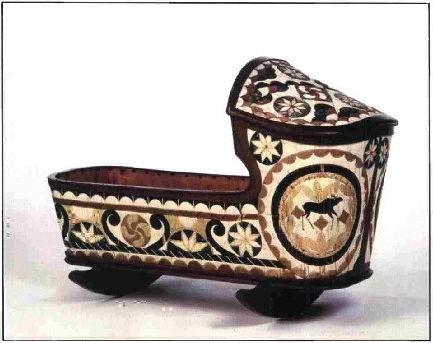 Central designs are two moose, worked in black quills, a type of realistic motif rare in Micmac quillwork. 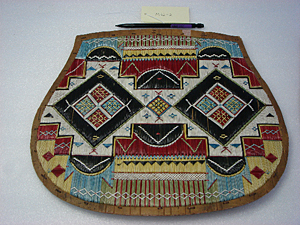 The panels comprise the largest single piece of Micmac quillwork in existence, and show her to have been a master quiller. Wagmatcook Cultural Center just before Christmas 2010.
will last them a lifetime. Over a hundred years ago, the intricate art and fine detail the Micmac Quill Box was sought after and traded throughout North America and Europe. The Mi’kmaq were often referred to as the “porcupine people” because of their elaborate quill work. 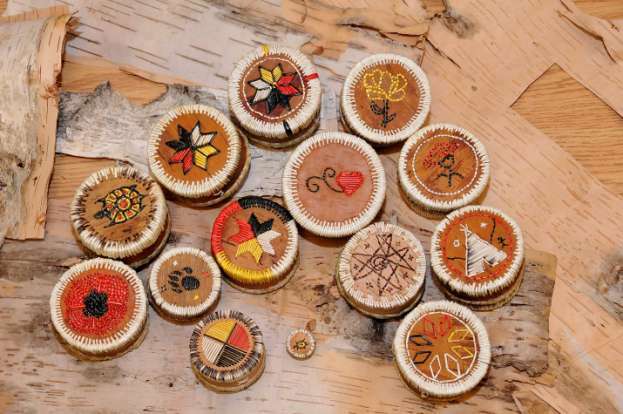 The quill work on birch bark was an ancient art that the Mi’kmaq specialized in. The attention to detail and sophisticated patterns made the Micmac quill work easily distinguishable compared to other Native quill work. Today that ancient artistry has almost disappeared and is only maintained by a handful of Mi’kmaq artist in Atlantic Canada. Beverly is playing her part to reverse those numbers. 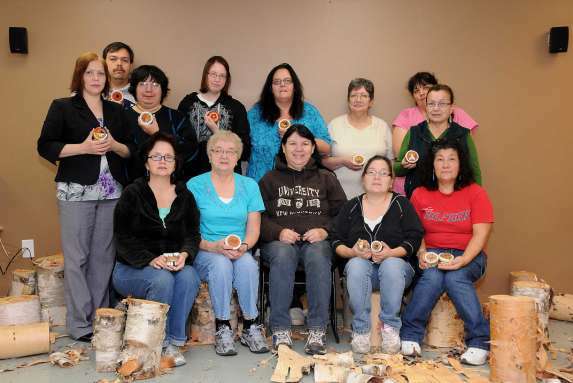 Beverly has taught all throughout Atlantic Canada. That is the hope Beverly has for her students, to keep the art alive. Beverly was taught by the late Jane Julian of Paqtnkek almost 20 years ago and she has never stopped. Beverly is more than willing to teach anywhere. This course occurred because of the will of the Wagmatcook people and the support of the band. Every student had an opportunity to express their appreciation to Beverly and the Traditional Porcupine Quill Workshop. These are a few words from the Wagmatcook students. 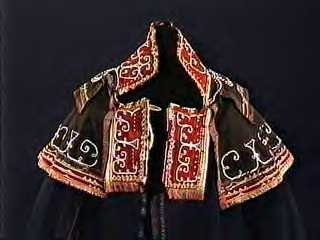 Inspired by my Mi’kmaq ancestors, I have been researching the style of traditional dress they used. Because paintings of the past are not always accurate, I have been looking for pictures. Some of these I have found on the Nova Scotia museum site. 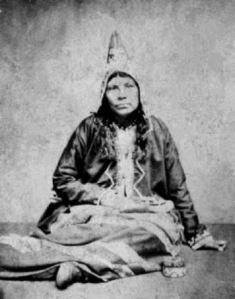 The woman is Mary Christianne Paul Morris (1814-1884), living at Chocolate Lake, Halifax. Note the small quillwork box, and the quillwork canoe model. Her work was highly praised and sought after. Mary Christianne Paul Morris (1814-1884), and her adopted son Joe. This undated photograph by J. S. Rogers (working 1863-1874), owner of The People’s Gallery, Halifax, was published as a line drawing in 1868. [Reference unknown.] 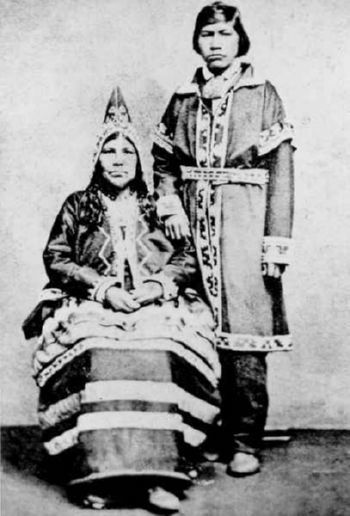 A second copy in the Bureau of American Ethnology Collection, National Archives, Washington D.C., is labeled “Micmac Costumes, 1865, near Halifax, Cresmcook? [Chezzetcook?] N. S.” Identification of the woman as Christianne Morris is based on comparison of costume to that in the Gush and Starr paintings (previously shown), and on the fact that Christianne Morris was well-known in the city, and had posed for at least one other artist. This particular woman was also photographed by W. D. O’Donnell. His father wanted him to pursue country music but Trevor Gould preferred traditional Mi’kmaq music. At age 10, he started singing on the powwow drum and then he founded the Mi’kmaq northern-style powwow drum group Eastern Star Singers, which toured in the eastern United States and across Canada. “That’s where I found my music, with the younger people, and it started to grow in our community,” says Gould, of Paq’tnkek, in Afton, Antigonish County. His late father Joey Gould, a traditional Mi’kmaq country singer and guitarist, didn’t mind his son’s choice. Gould, now 26, is going to the Olympics as a singer, drummer and dancer with DRUM! and is also hard at work as the youngest band councillor for Paq’tnkek. Gould is very loyal to Paq’tnkek First Nation. He left home to study sociology and history at Dalhousie University with a view to coming home to live and work. It was while he was living in Halifax that he got involved in DRUM! “Back in 2004 – my father passed away in 2004 – and a couple of months after I got a call to join DRUM! in September of ’04. “I was going to school at Dal and a friend of Brookes Diamond’s – we have a mutual friend, Alan Syliboy, he’s a good friend of mine. We did a lot of work together with Eastern Star – and Brookes called him and asked if he knew anyone who knew drumming and singing and lived in the city.” Syliboy called up Gould. In February DRUM! is going to the Olympics and, beginning Feb. 15, will be seen throughout Vancouver and its surrounding communities with six performances in five venues. DRUM! will also take part in Nova Scotia Day on Feb. 16 with a performance with Mount Uniacke’s Buck 65. Gould has been so busy as a band councillor that he hasn’t had time to get excited about going to the Olympics but “my community is excited for me.” However, he’s excited to be bringing Mi’kmaq culture to the West Coast and to be part of the show’s new segment called Drums of the World. For the shows in Vancouver, he’ll be drumming in a group including British Columbia-based cultural influences – Japanese, Chinese and East Indian – and musicians representing the four host First Nations – Lil’wat, Musqueam, Squamish and Tsleil-Waututh. This site is meant for all who love artistic expression and would like to learn more about the Mik’maq arts. Enjoy and come back often.